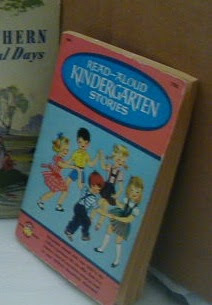 Another book that I remember seeing in my sister's bookshelf. I am sure I read it but I don't remember the story. When I was a baby my mother made me a quilt......she embroidered blocks and sewed them together, it was trimmed in satin. It was a beautiful quilt and I had it until my house burned down. This was the pattern. 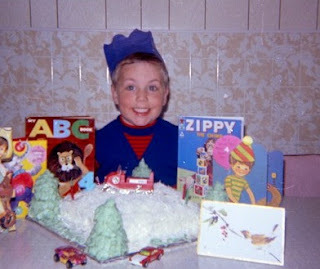 I had this plaque on my wall when I was a teenager......Ziggy was very popular in the 80's. Another set from Mom's collection. 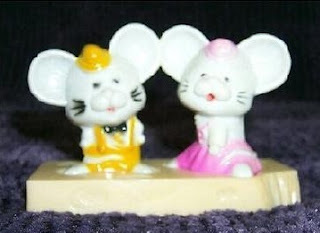 Mom's collection contained all sorts of salt & pepper sets, from cute plastic ones like this to silver ones. 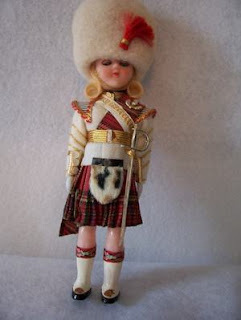 My sister had a doll like this, I think my aunt and uncle gave it to her. 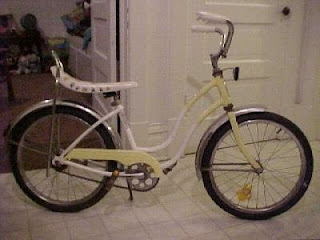 My sister had one of these and when she got too big for it I got it. It was one of the best hand-me-downs I ever got. I think I used this text book in elementary school. If I didn't, my brothers or sisters did. We had a bank very similar to these but I think ours was green. 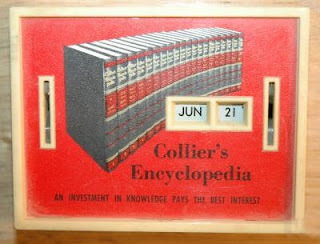 I think we got it with our encyclopedia set. When you put in a coin it would change the date. Dad used to save the RCMP quarters in it. 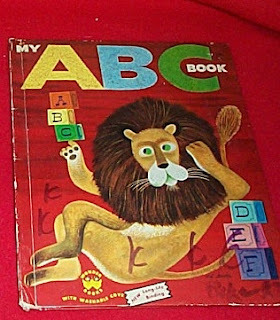 I vaguely remember this book. 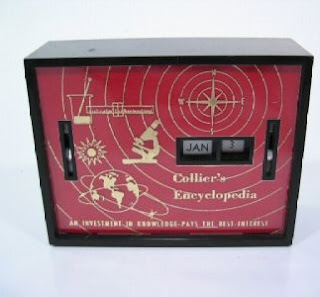 I am not sure if we had it at home or if I saw it at school or the library. 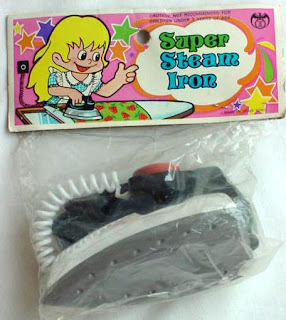 My sister and I both had toy irons similar to this. The plug was a suction cup you could stick on the wall. We had fun playing with them until our younger brother destroyed one of them. He put one on a baseboard heater and turned the heater up as far as it could go. The entire family went out for an hour or two and when we got home the iron had melted. 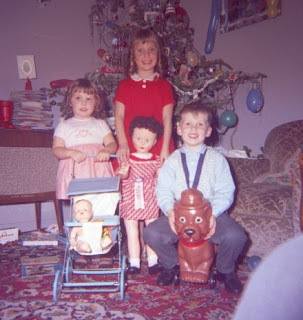 Then my sister and I probably fought over whose iron he destroyed. 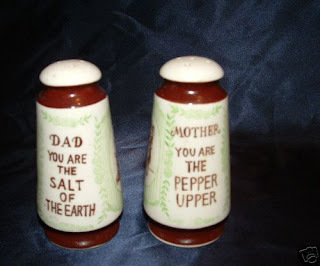 My aunt had this set of salt and pepper shakers and I thought the sayings on them were cute. My older brother had this before I was born. He got it for Christmas one year and from the family stories I think it was one of his favourite toys. I think my sister owned this book. I remember my favourite story in it was about the 12 dancing princesses. 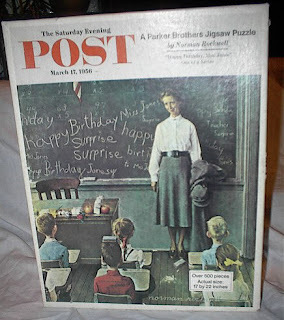 I remember giving this puzzle to my sister one year for Christmas. I was in high school and she was out of university and teaching. For the record, I did not have this game. I also did not have a Lite-Brite or Easy Bake Oven or a real Barbie doll or a mood ring or dozens of other cool toys all my friends seemed to have. But I'm not bitter. I remember playing this at a friend's house in Kettle Cove when we were on vacation one summer. 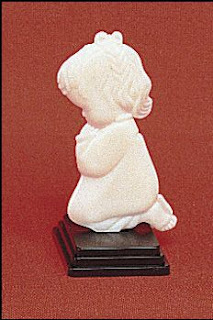 I remember having one like this on my dresser, I guess I got it either from my aunt or from Sunday School. 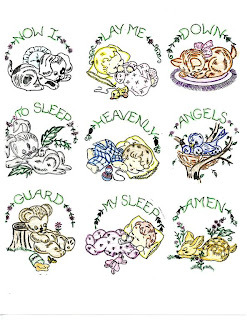 I think my sister had one like it and we also had praying hands that glowed in the dark. 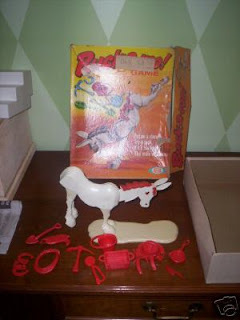 They didn't glow very brightly or for very long, but I remember holding it under the lamp for a long time then turning off the lights and it would glow a lot brighter then. It had a faint greenish tinge to it when it glowed. My brother got this book for his birthday one year, as you can see in the photo. My aunt owned this set of salt and pepper shakers, a donkey carrying jugs on a cart. 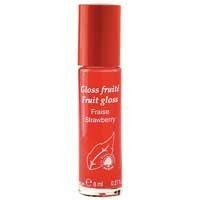 This was very popular lip gloss among my friends when I was in high school. It was thick and sweet smelling and I believe I had it in bubblegum or strawberry flavour. 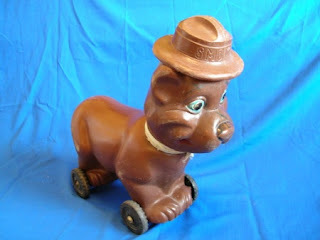 I remember seeing these at my aunt's house. 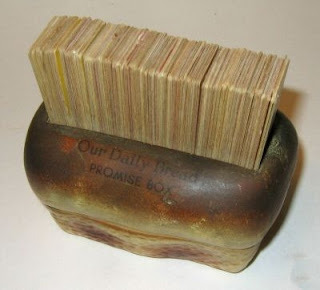 A little box shaped like a loaf of bread filled with cards that had a bible verse printed on them. The individual verses were referred to as promises.